Mountain Harvest Organics is a paradise for nature seekers and foodies alike. During your visit, you might just find yourself wondering through the organic gardens, maybe even helping harvest seasonable produce for healthy and incredibly fresh meals, or perhaps you'll have fun visiting with the farm animals. Often guests are seduced into the forest because of their love of nature, hiking the trails surrounding the farm, or rafting down the wild rivers in the area. We're fairly certain you'll be like Mountain Harvest Organics out of town guests, whom nearly always make a day trip to the famous Max Patch bald for a hike along the Appalachian Trail. The possibilities are endless for an adventurous vacation with us. 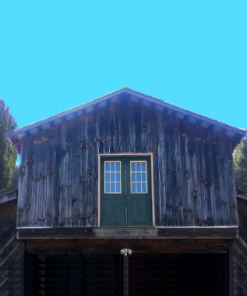 Private lodging in this fully furnished barn loft that is located on the top floor of the farms main barn. Named after the birds who take up residence in the barn each summer, this barn is the hub of the farm, so it is conveniently located near the farm fields. The loft features a large fully equipped kitchen with 3 bedrooms. 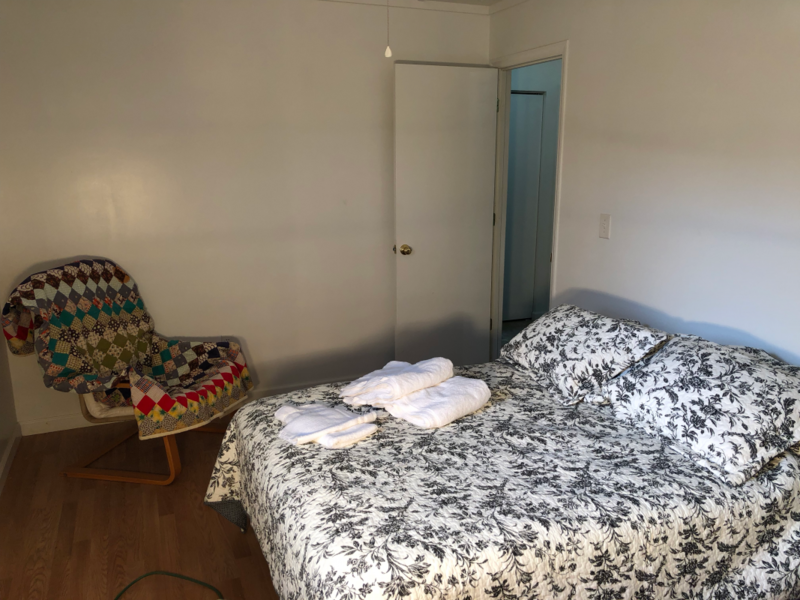 One bedroom has a queen bed with a deluxe firm mattress, another has a queen bed with a regular firm mattress, and the third room has a full bed with a firm mattress. 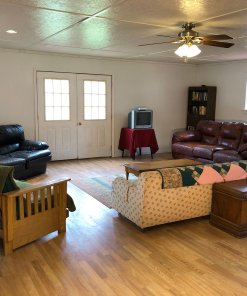 Included in the loft is a large community room that comfortably seats 20 people. 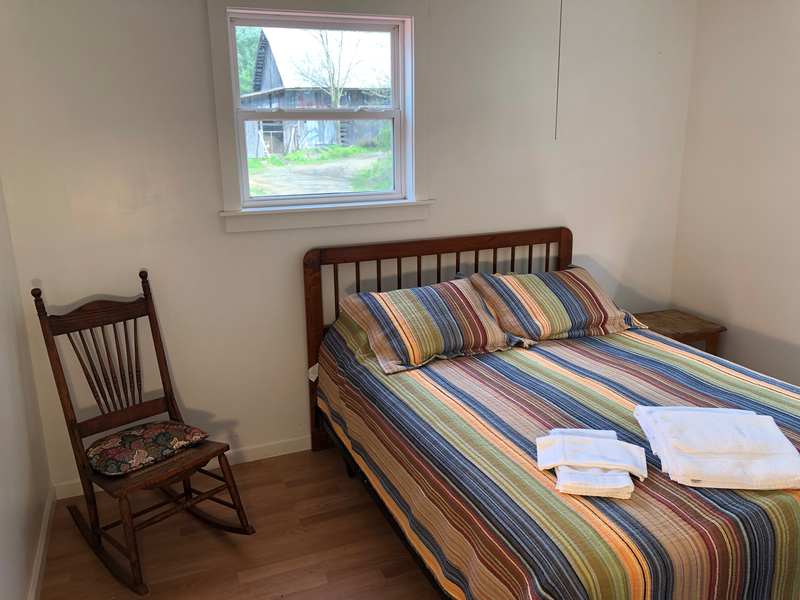 The bathroom has a washer and dryer, especially convenient for those considering week long stays, should the need arise to wash your clothing. 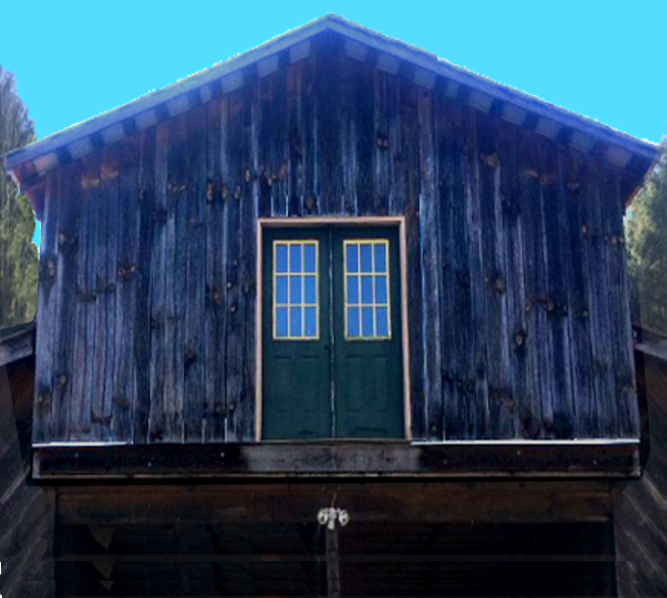 The barn loft can easily sleep up to 6. For your comfort, the loft includes air conditioning and heat. It also has an outdoor fire ring with complimentary firewood. 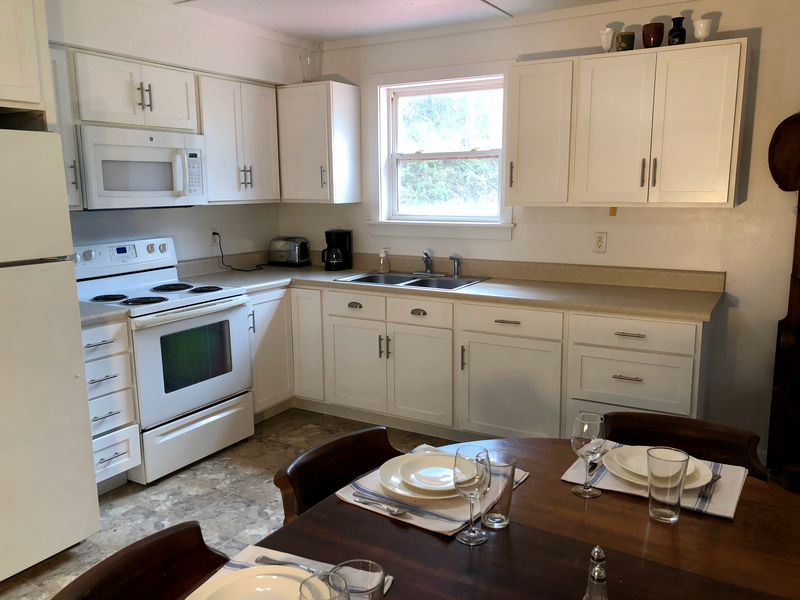 Fully furnished with all the kitchen gadgets one could ever hope for on their vacation!Provides the perfect space for groups to prepare farm fresh meals during their stay. A fully equipped kitchen should you want to prepare farm fresh meals! Historically,this kitchen was used for preparing delicious meals for the farm crew.The farm crew is much like a family so responsibilities for farm lunch preparation and cleanup were rotated among the crew. Over the years, many creative dishes transpired in this kitchen to feed a hungry crew. The magical energy of this kitchen is sure to inspire you to create a fabulous meal with farm fresh ingredients during your stay. Many of the recipes on the website originated from these farm lunches, so be sure to peruse our website for ideas before your farm stay with us. Featuring a comfortable and firm queen mattress, linens and towels.This room has views of greenhouses and the timber frame pavilion. 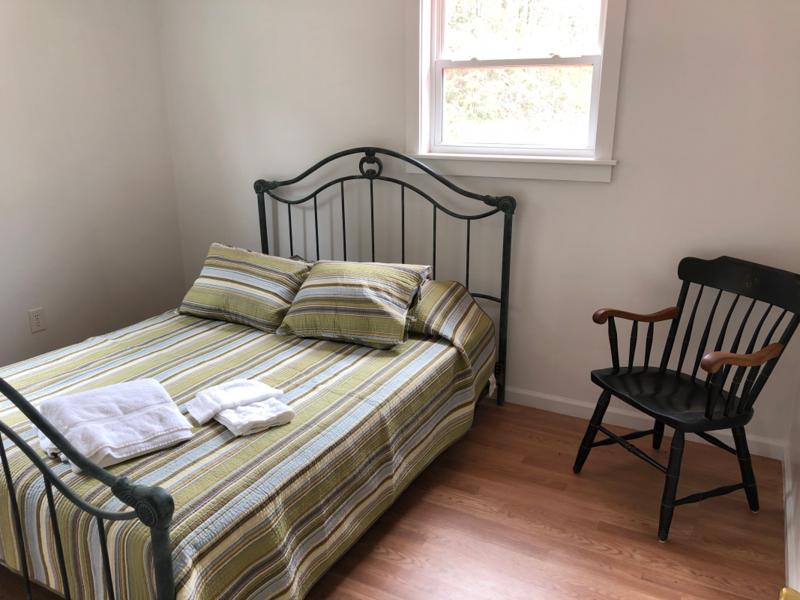 We are flexible with our bookings, if you are staying with family or friends, you may book all bedrooms.Otherwise, you have the option only booking 1 bedroom for a cost savings to you! 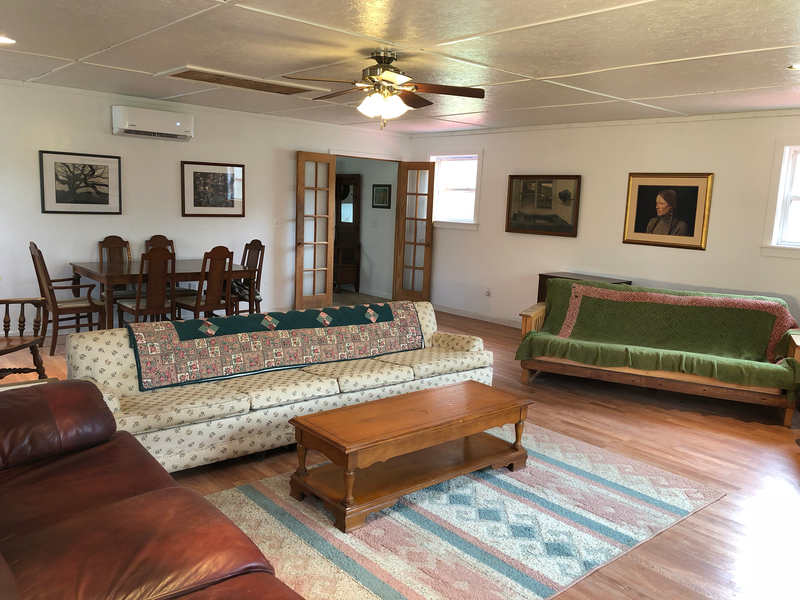 This spacious room that comfortably seats 20 is is perfect for a getaway with your family and/or friends. This room is a a greatplace to relax if the weather is not conducive to being outdoors during your visit. Use this calendar to the left to see availability at a glance of The Swallow's Nest (lodging in a barn).Use the left and right arrows, below the name, to scroll through the months.